There are a few brands out there known for building desirable wagons. One is Audi for their Avants, which are often more desirable than their sedan counterparts. Another is Volvo, thanks to its family-friendly image and focus on safety. 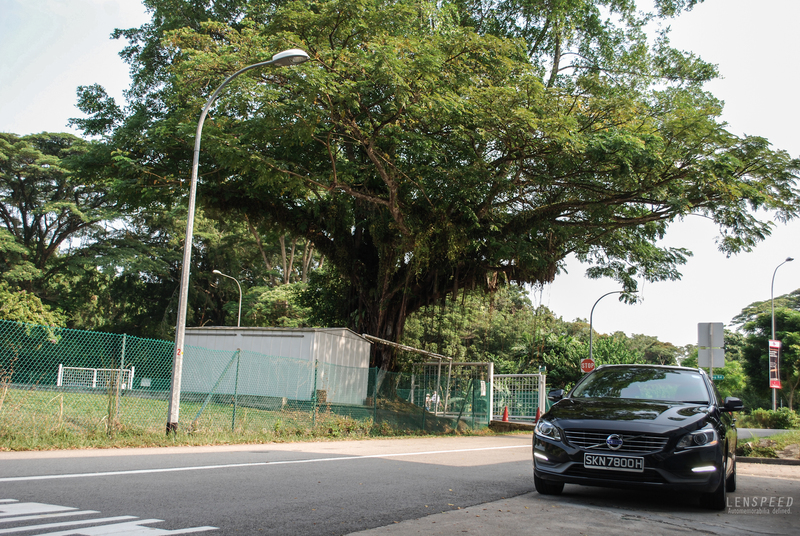 Although not immediately apparent as a Lenspeed candidate, Volvo claims that its V60 will blend the versatility of an estate with the dynamic handling of a sports sedan. And that has piqued our interest. Let’s see if that claim holds any water. 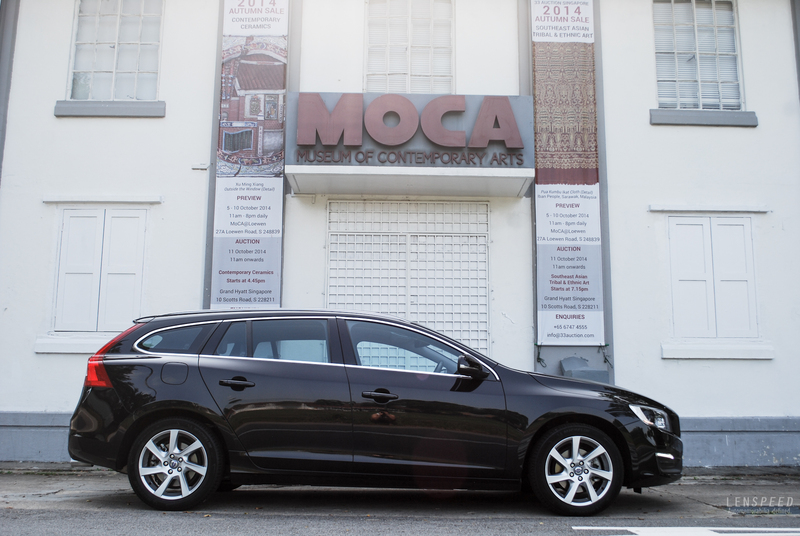 There is much to admire about the looks of the V60. Every angle you turn, the car is effortlessly stylish, compact and svelte. On this test car, the rims don’t quite bring out the best in the car and neither does its black paintwork, but I cannot deny that this is truly one handsome car. My favourite design line runs across the belt line, curving every so slightly above the wheel arches and tapering off beautifully at the rear. It’s organic, and in a way almost modeled after a living thing. The twin tailpipes and daytime running lights also elevate its appeal among the style conscious. For those who like attention to detail, Volvo has also relocated its previously visible washer nozzles on its bonnet to underneath it to add to its aesthetic appeal. The two-tone colour is also very appealing! 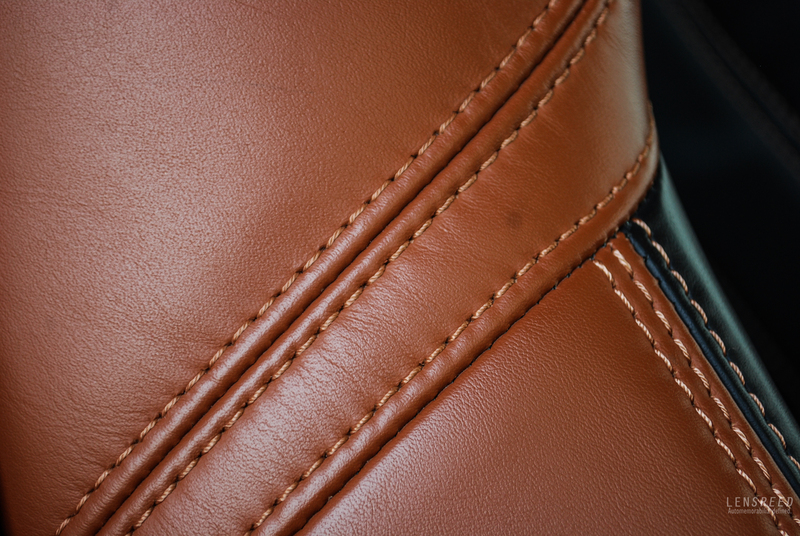 Some parts of the seat make it feel like a carefully made baseball glove. 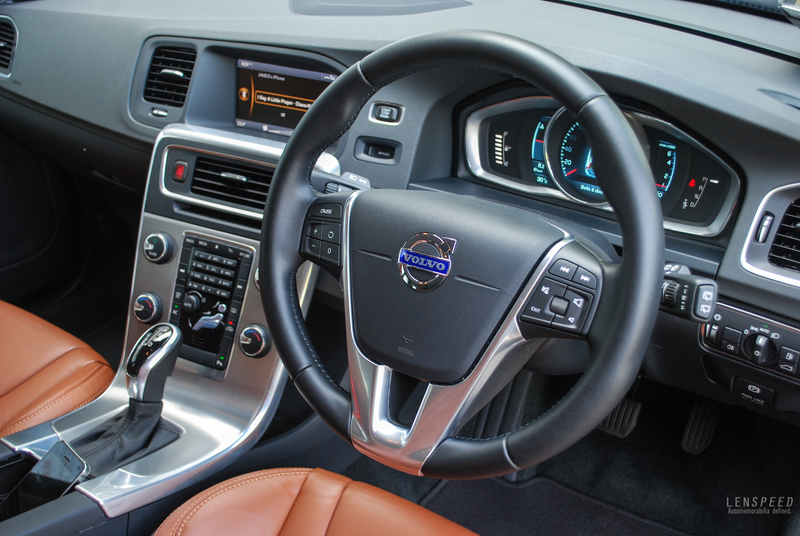 The other details are typically Volvo, from the big buttons on the steering wheel (seemingly built as such to be pressed with thick winter gloves) and the delicate buttons on the centre console. Although everything is quite highly quality it does seem to lack the last edge of finesse in finish that you’d find in the latest German rivals. 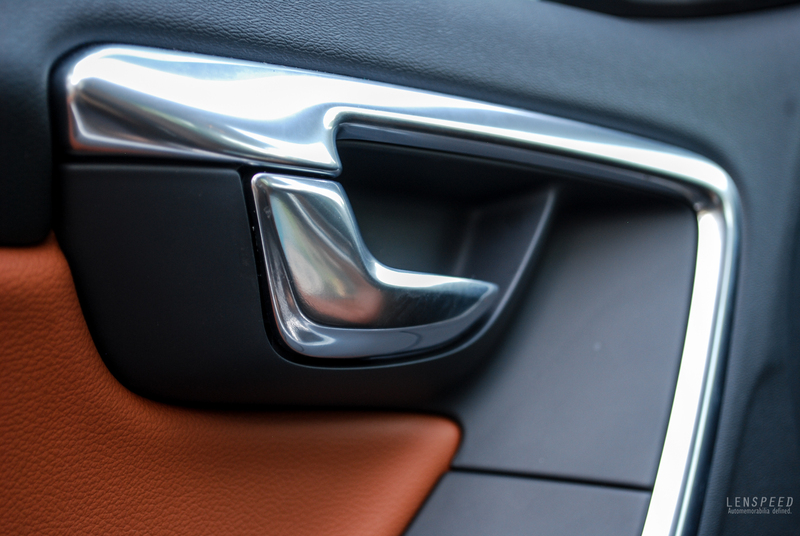 One thing that we did like very much is the brushed metal accents around the interior, which just feels very expensive. 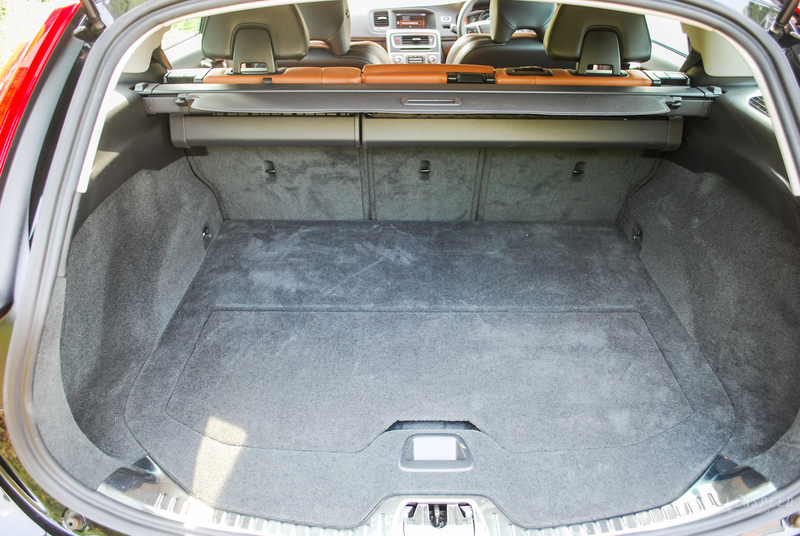 If you’re curious, the boot space is also practical (430L, 1241L with seats folded) although the wonderful exterior profile does mean you have quite a low ceiling that can sometimes catch out large items and also taller people sitting in the car. So how does it drive? It’s worth pointing out that the car came with a host of safety features, including the ingenious City Safety. This works up to speeds of 50km/h and will brake for you if it senses that the driver fails to react in time to a vehicle/object in front. It’s usually passive, but it activated on my drive when I was entering a car park, at the gantry barrier. 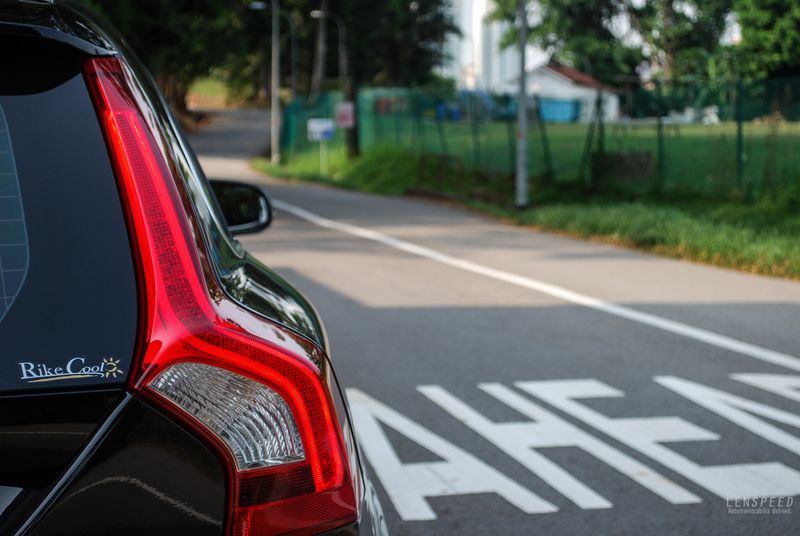 Because I usually approach the barrier quite quickly and closely, the car sensed its presence and braked hard to ensure that I did not proceed further. Although I was confident I wouldn’t hit the barrier, it made doubly sure I wouldn’t anyway. A nifty feature, especially for people like my dad who may not pay that much attention to the road. The T4 engine in the test car is the only petrol variant you can choose from and the only other available option is the highly frugal D2. In numbers, it compares as how you’d expect with the diesel – less torque, higher bhp, higher FC and CO2 emissions. The T4 won’t get the $15,000 CEVS rebate that the D2 would enjoy too. 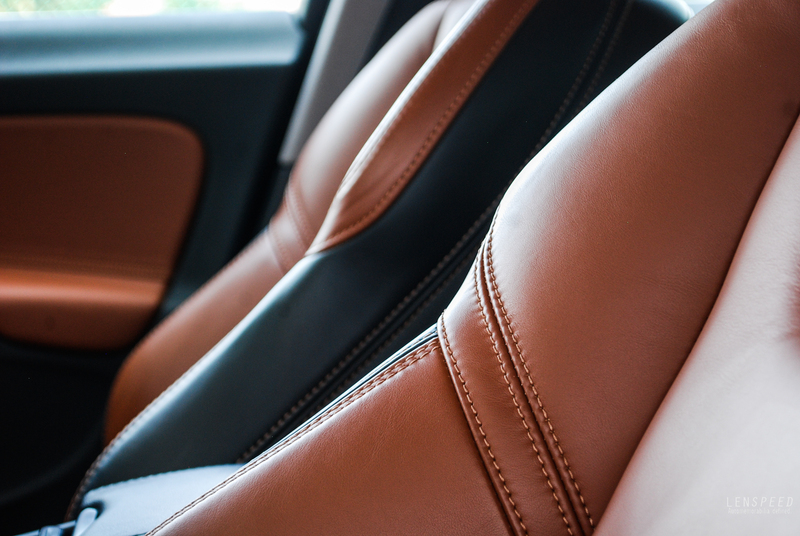 But the upside is that you do get a smoother, quieter engine. 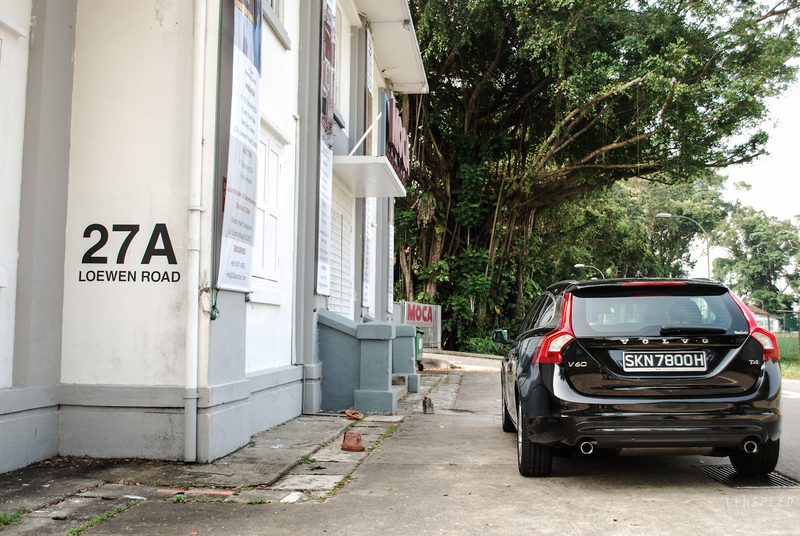 I’ve tried the D2 engine, albeit in the V40, and it proved to be quite gruff and unrefined. The T4 on the other hand feels very well sorted, delivering a good pace in the low-end and aiding in spirited driving. 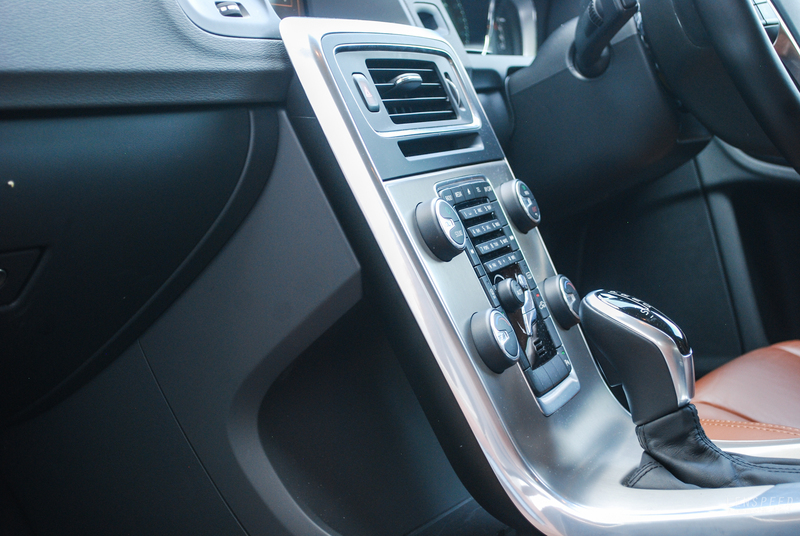 It’s worth revving the engine out to its top end as it does have a good spread of power, though you may just not bother because the car doesn’t have any paddle shifters to make it easy for you to play when you want. Thankfully, the engine is happy if you just allow it to sit in the background and do its business. Unfortunately, it doesn’t return really good fuel consumption although it just about hits the mark for its capacity and output. 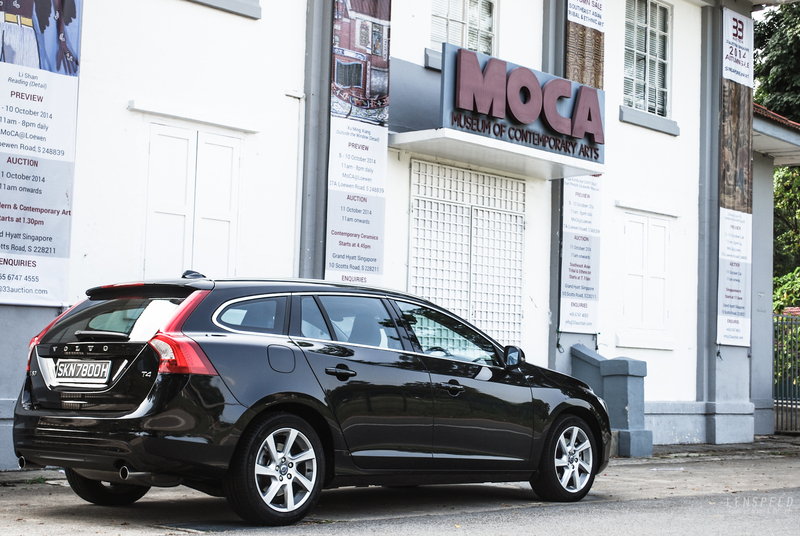 In the handling stakes, the V60 will be a bit of a surprise for a Volvo. Riding stiffer than any other Volvo I can remember driving, the damping feels more sporty than school run. It’ll allow you to drive the car quite hard and not feel like you’re making a fool of yourself hauling an estate around corners. It’s a understeer-biased handler, but this is no bad thing as it is highly predictable in its responses. The thing that lets down this potential sportiness is its steering, which feels slow-witted and a bit too lazily geared to make the best use of the car’s chassis. So, does this estate live up to its maker’s claims of being both versatile and sporty at the same time? We think it does above average in both respects, but it’s not a class leader by any means. 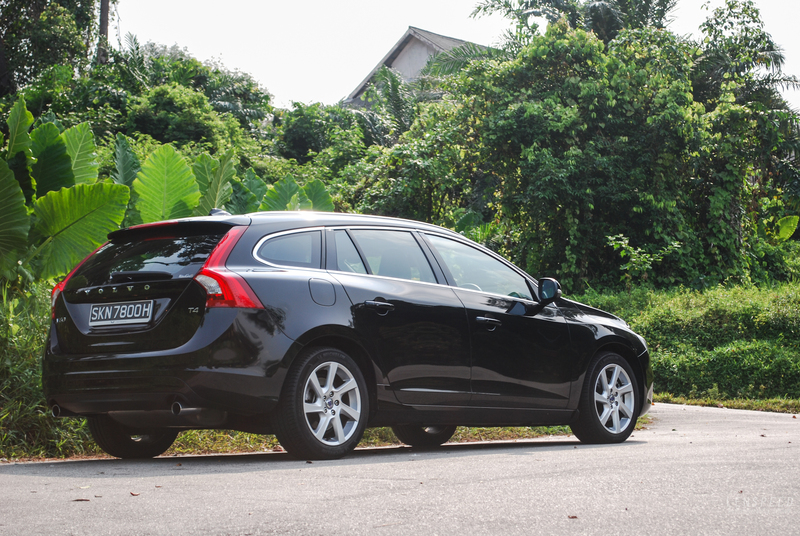 What it is, however, is a highly competent and accomplished wagon if assessed independently of any other car. We’d go for a diesel though, but with a quieter engine than the D2!